We are pleased to be offer FREE standard delivery to the whole of the UK or an Express Delivery Service if required. 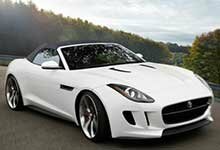 If you have any questions about our Jaguar F Type car mats we provide, or if you want to find a boot mat to match, please contact us through the Contact Us page. We always do our best to help. Delivery of these custom Jaguar F Type car mats is completely free of charge to ALL of UK.